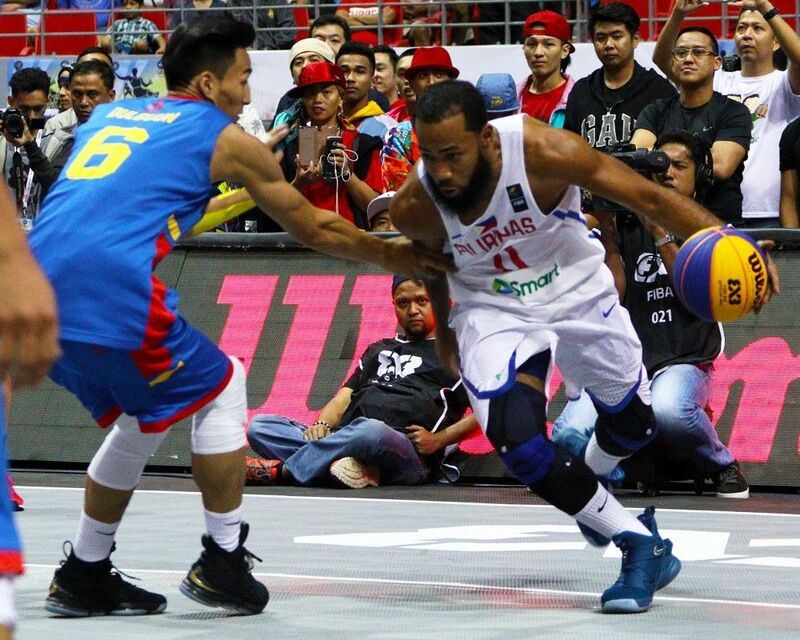 MANILA, Philippines — Ranked 19th in a field of 20 competitors, Gilas Pilipinas nearly scored a sweep in the pool phase of the FIBA 3x3 World Cup. The Filipinos were grouped with Russia (third seed), Brazil (sixth), Mongolia (11th), and Canada (14th), who were all equipped with ample training times, and prior experience. But the hosts, albeit falling short, did not disappoint. Going into the tourney with devoid of expectations, they actually outdid themselves. On Monday night, in their final outing in an already-decided campaign, Gilas scored a massive upset over the Russians—the top-ranked squad in Pool C, and a team that touts a No. 1 status in the federation rankings.